With stunning views across the lush Don Valley our vineyard kitchen and tasting room delivers seasonal, simple, handmade food and showcases the estates highly regarded, cool climate wines. Local oysters shucked to order, house made bread, terrines,pasta,ripe cheeses,pastries and cakes. Elegant cool climate wines from five hectares of hand tended vines. Tunes from the turntable, views to the sea. Lawns to lay upon and sprinklers to run under. 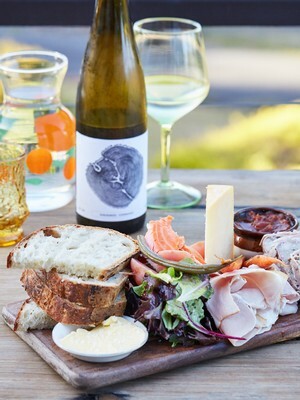 We make almost everything ourselves using all Tasmanian produce, shed-loads of love and a whisker of cheek. 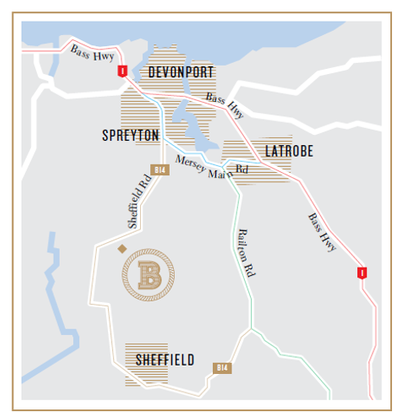 Barringwood Vineyard Tasting Room and Kitchen is just 15 minutes drive from Devonport or Sheffield and an hour from Cradle Mountain or Launceston. Gillams Road is South off Sheffield Rd (B14) directly opposite Melrose Rd. WE HAVE A STRICT NO HEN'S DAY POLICY. GROUPS AND TOURS BY PRIOR ARRANGEMENT ONLY.